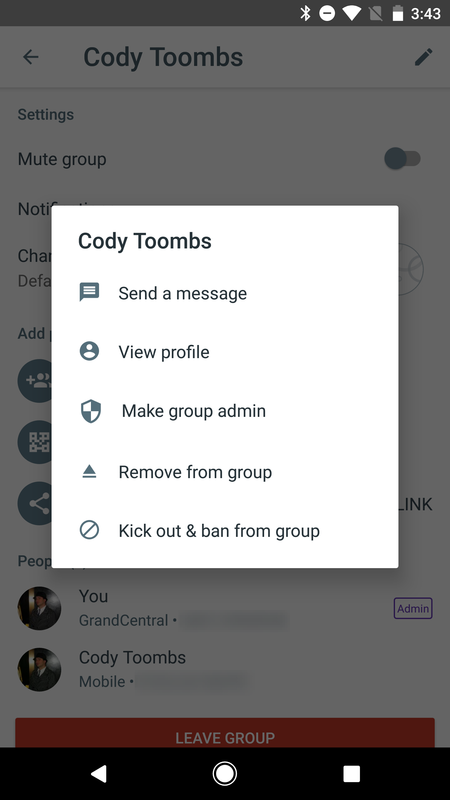 Group chat controls: Turn on admin controls to remove and ban people from group chats, edit the group name and photo, and give others admin rights. Selfie clips: Send a video message with a selfie clip, a fun way to capture how you feel, right in the moment. Bug fixes: Performance improvements for a better chatting experience. Google waited a few days to post an official changelog. 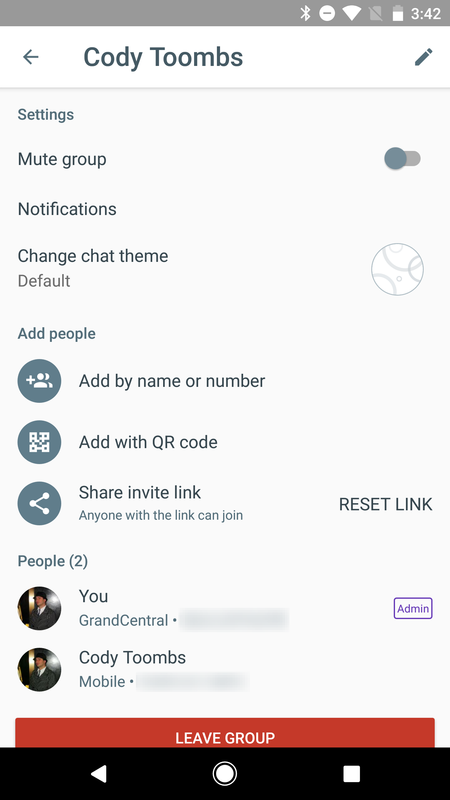 As it turns out, the advanced management controls for group chats (i.e. admin roles) that we uncovered in a teardown are now live. 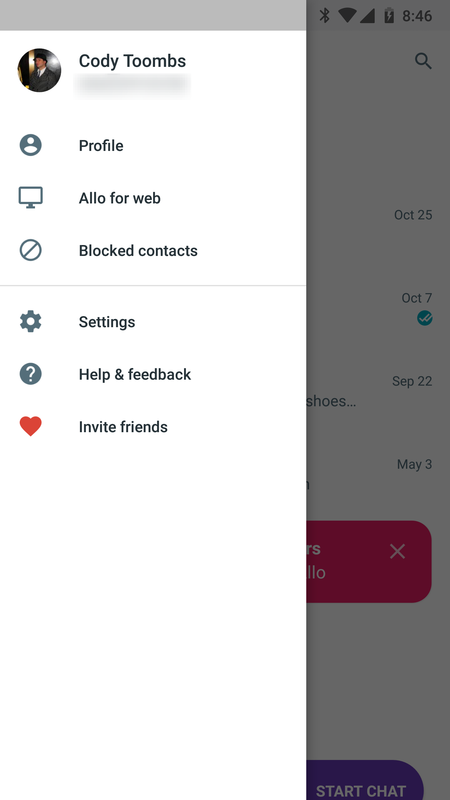 You need only create a new group chat and look for a toggle in the setup screen to enable the additional features. The creator of the chat will automatically have admin rights, but they can further bestow admin rights to other people in the chat. 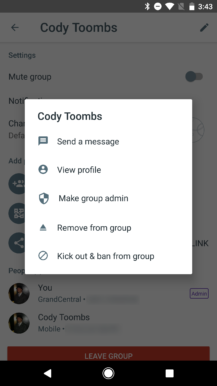 Admins can kick people out of a group temporarily or ban them entirely. The changelog also re-acknowledged selfie clips are live. In short, there were some people that had them and then lost them again, so this changelog probably means they're now truly live. 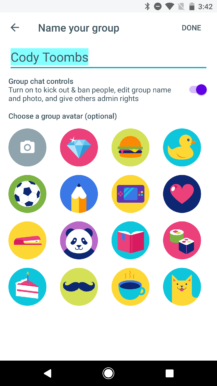 The previous adaptive icons are on the top, new ones are on the bottom. Google's bad habit of using generic white backgrounds with the adaptive icons for its apps has left most of them looking like a miniature icon on a dinner plate. It looked particularly weird with Allo because the icon itself was already formed as a stack of white on top of yellow, and the additional background resulted in an onion-like set of layers that didn't work well. 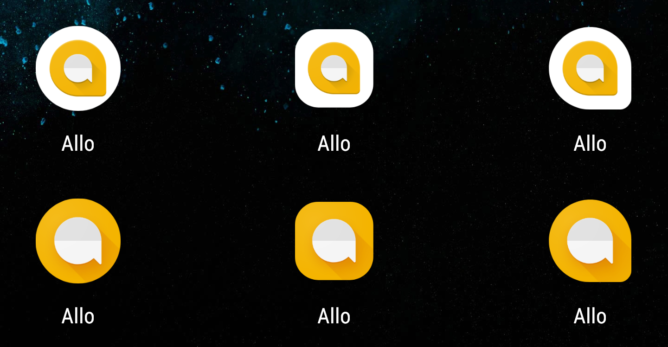 The latest update fixes the look by setting the background to Allo's brand color and removing the intermediate shape, so you just get the core app icon setting atop the yellow backing. – Thanks to misc for reminding me. 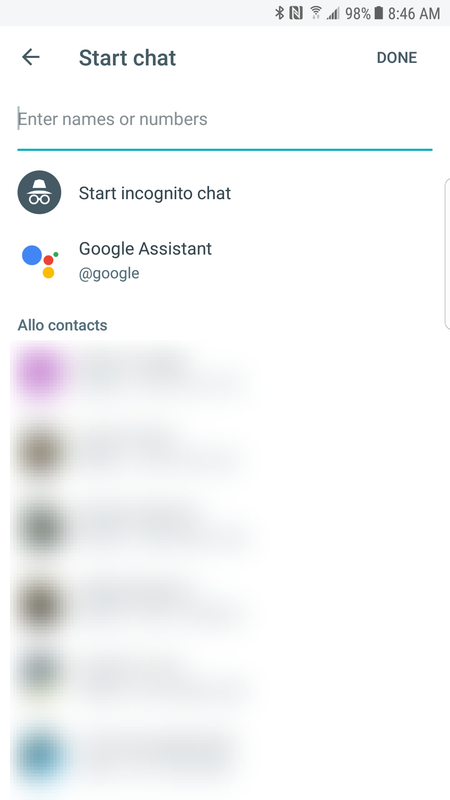 If you're a newcomer to Allo, or just setting up a new phone, v22 will now welcome you to the experience with this cute screen. 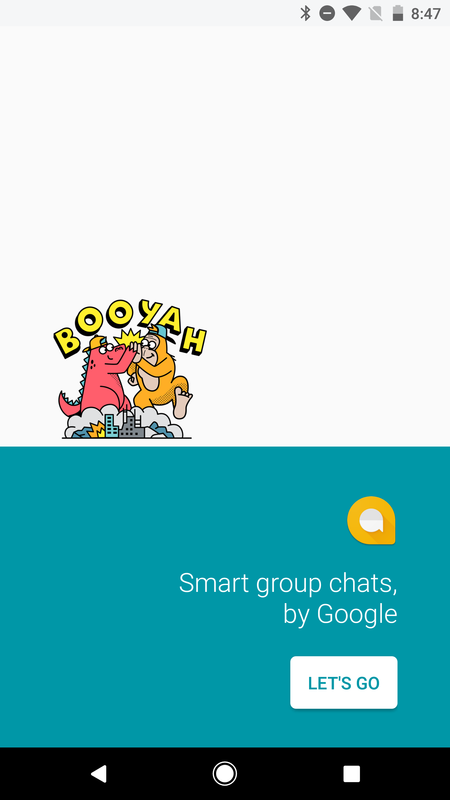 I normally don't bring up things like a new welcome screen, but I wanted to point out that this screen emphasizes group chats. It's a small detail, but it is consistent with the recent focus on outfitting Allo to work well for chatrooms. I also couldn't help but notice there might be a little bit of a symbolic nod to sports fans with the dinosaur (?) and giant gorilla wearing baseball caps. There's a slightly revised 'start chat' screen appearing on some devices. Just to be clear, this appears to be an A/B test, as it's only showing up on one of my phones and not the other, even though they are running the same version. I'm not sure if this began with previous versions, but it only just started for me with the update to v22. In the previous setup screen, you could search for an individual and start a solo chat with them immediately, or tap on buttons to begin setting up a group chat, and there were also buttons for incognito variants of both solo and group chats. 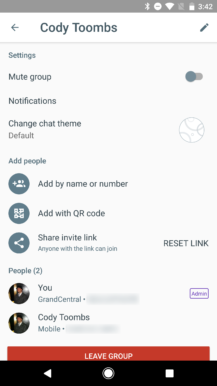 The new version does away with the buttons for launching group chats. Instead, you'll simply begin picking people for the chat and hit 'done' when you're finished. 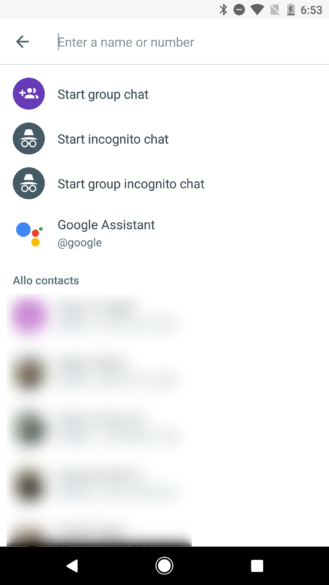 If there's only one person in the list, Allo creates a solo chat with just that person, otherwise it opens a group chat with everybody. Also seemingly missing on some devices is the 'QR scanner' function in the navigation drawer, which was used for quickly adding contacts to Allo. I'm not sure if there's something to that or maybe it's a bug, but it's not happening on all devices. 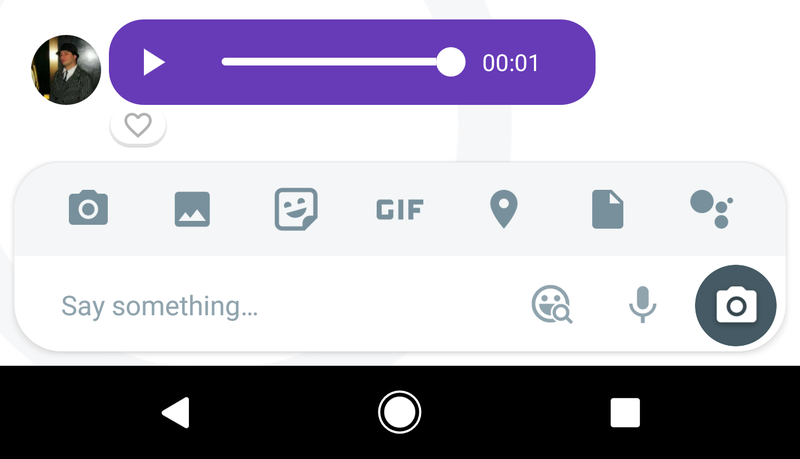 Audio notes are a cool, albeit probably underutilized feature of Allo. One problem with using them is that you might not be in a setting where you can stop to listen to one. Maybe you're in a quiet library or a loud concert. Either way, you'll soon be able to have Allo transcribe these notes into readable text on your screen. Transcriptions appear to be in testing now, and may be enabled by default once they go live. Once active, transcriptions are probably going to look pretty similar to language translations. 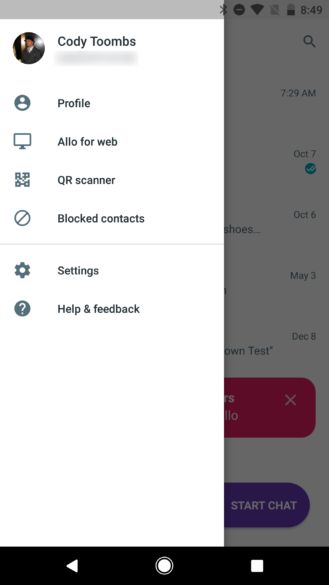 We know Allo is going to enable some camera effects in the future, and now it's clear a new one will be joining the list: "confused question marks." It's pretty easy to guess that this will plaster a few question marks in the frame when you take a selfie or selfie clip. There is also a bit of a rename to one of the effects that was already expected. The zoom effect is now referred to as "bollywood zooms" in the text. I'm not exactly up on my Indian cinema, but I believe this refers to the effect where the camera zooms in on a subject repeatedly without zooming back out. Here's the first example I could find (at 9 seconds in).